OK, we recognize how silly the headline is, in regard to Steven Spielberg. He is the man behind Jaws, ET, Indiana Jones, and Jurassic Park, so of course, he's a very wealthy man. Do you realize just how wealthy he is? It takes a certain amount of savvy deal making to amass a net worth of $3.7 billion, even with a career that spans five decades. Spielberg is considered to be one of the founding pioneers of the New Hollywood era. He is one of the most popular directors and producers in film history. He is one of the most critically successful filmmakers. He has won the Oscar for Best Director twice. A number of his films are among the highest-grossing movies of all time, and his total body of work, unadjusted for ticket price inflation, makes him the highest-grossing film director in history. Spielberg attended high school in Phoenix for three years. In his senior year, his family moved to Saratoga, California. His parents divorced, and soon after, he graduated from high school. In 1965, he moved Los Angeles with the goal of becoming a film director. He applied to the film school at the University of Southern California, but didn't get admitted due to his C average in high school. Instead, he attended California State University, Long Beach. During college, he had an internship at Universal Studios in the editing department. While there, he was given the opportunity to make a short film. He wrote and directed Ambin', which won a number of awards and earned him a seven year directing contract with Universal. He was the youngest person to ever be signed to a long-term deal with a major studio. Spielberg was off and running. The 1980s would bring Raiders of the Lost Ark, E.T. : The Extra-Terrestrial, The Color Purple, and other films. In the 1990s, he gave us Jurassic Park, Schindler's List, more Indiana Jones, Saving Private Ryan, etc. But let's look at a savvy move Spielberg made in the 1990s that saved Universal Studios and brought him many many millions, even billions of dollars. Basically, Steven Spielberg saved Universal. Back in 1993, when the first Jurassic Park came out, MCA, Universal's then parent company was cash strapped and struggling. The dinosaur movie was an enormous hit. So were the sequels in 1997, 2001, and 2015. In fact, Jurassic World is the fifth highest grossing movie of all time. The fourth movie in the series has brought in an astounding $1.6 billion. The fifth movie, Jurassic World: Fallen Kingdom was released in 2018 and it's the 12th highest grossing movie of all time with $1.3 billion in box office receipts. For the past 26 years, Universal has been printing money on the back of the Jurassic Park movies. But it could have gone another way. Back in the late 80s, MCA/Universal was struggling. Spielberg was already a major player and Universal's biggest name brand producer. But Steve Ross, who was running Time Warner at the time, wanted Spielberg to be on the Warner Brothers lot. He launched a campaign to lure the E.T. director from Universal. Time Warner had the cash to do it and Ross liked to throw it around. However, MCA head Sid Sheinberg, who had been one of the people to first champion Spielberg as a director and producer, was not about to lose his biggest star. Being cash strapped at the time, Sheinberg couldn't compete with the cold hard cash Warner Brothers was offering Spielberg, so he did what he could and threw a theme park clause into Spielberg's contract. 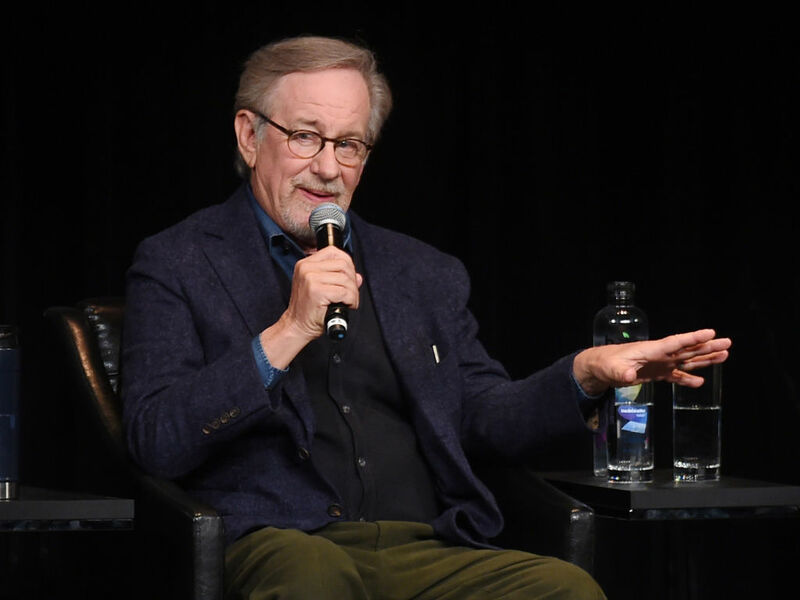 Spielberg would serve as a creative consultant on any theme park attractions related to his films and any film he directed would stay at Universal. The theme park consulting perk paid Spielberg 2% of all park ticket revenue, as well as a portion of park concession revenue in perpetuity. Spielberg's annual payout exceeds $50 million. That number will keep growing unless he agrees to a buyout. The clause allowed Spielberg a chance to exit the deal in June 2017 and collect a one-time payment equal to the value of the contract. This would be worth about $535 million right now. That's a lot of money. But consider this, without that clause; Universal might not have theme parks today. There would be no Jurassic franchise, no Schindler's List, none of it would have been possible without some strategic thinking by Sheinberg and Spielberg's willingness to believe in the man who gave him his first directing contract. The deal was for Ma's Alibaba Pictures Group to purchase a stake in Spielberg's Amblin Partners, and it's far from a simple streaming deal.